The NGC 7822-Cederblad 214 complex is a large, low surface brightness nebula located about half way between Beta Cassiopeiae and Gamma Cephei. 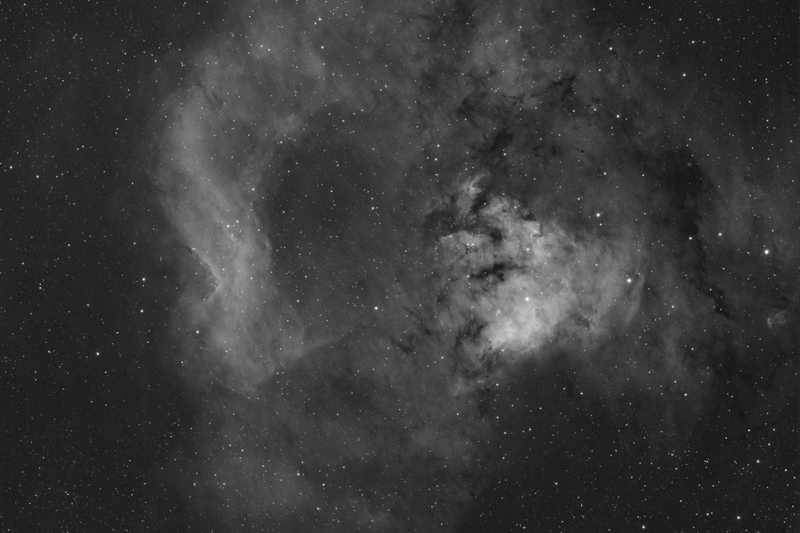 NGC 7822 is the fainter object on the left of the image and Cederblad 214 the brighter and more detailed nebulosity encompassing the right side of the image. Note that in the lower left corner of this image one can make out a small, round planetary nebula which is easier seen on the higher resolution image (see link above). This is planetary nebula Abell 1, also known as PN G119.4+06.5. Its visual magnitude is 18.7and has an apparent diameter of 46" x 42".